Today we aren’t just looking for reviews on electronics or restaurant; we are looking for reviews on healthcare services too. 72% of patients use online reviews as the first step to finding a dentist, doctor or any other healthcare provider. This number has jumped from just 25% in 2013 to 82% in 2017. In short, if you don’t have great views, you’re going to struggle to succeed in your practice in the future. Let’s dive into how to get more and better reviews for your practice. Firstly, are reviews actually that important? A strong online reputation is often the first impression that your practice makes on potential patients. Additionally, online reviews have a growing impact on search engine visibility. In 2017, online reviews accounted for 13% of what Google uses when ranking local results. This is particularly true of “best of” results returned when a patient looks for a provider in his or her geographic area. Google and other search engines favor websites with abundant content, the more frequently updated, the better. 800 words of review text can make up as much as 70% of fresh content for your website or Facebook page, which search engines will reward with higher search results. Naturally, before you can get positive reviews, you must provide a positive experience. Often what people remember about a visit is not the particular service you provided, but rather the way the experience made them feel. Patients are often giving up a sizeable portion of their day to visit your practice; one way to help guarantee good reviews is to make sure they are as comfortable as possible while they are there. Consider offering complimentary bottled water or other refreshments, keep your waiting area clean and attractive, encourage your staff to be friendly and engaged, and do your best to keep wait times to a minimum. Depending upon your specialty, you may be able to incorporate unique ways to help your patients feel like guests. If you do, you will be rewarded by positive reviews regardless of what review platform is currently in fashion. A glowing testimonial page is certainly important but it cannot be read until a potential patient makes her way to your site. 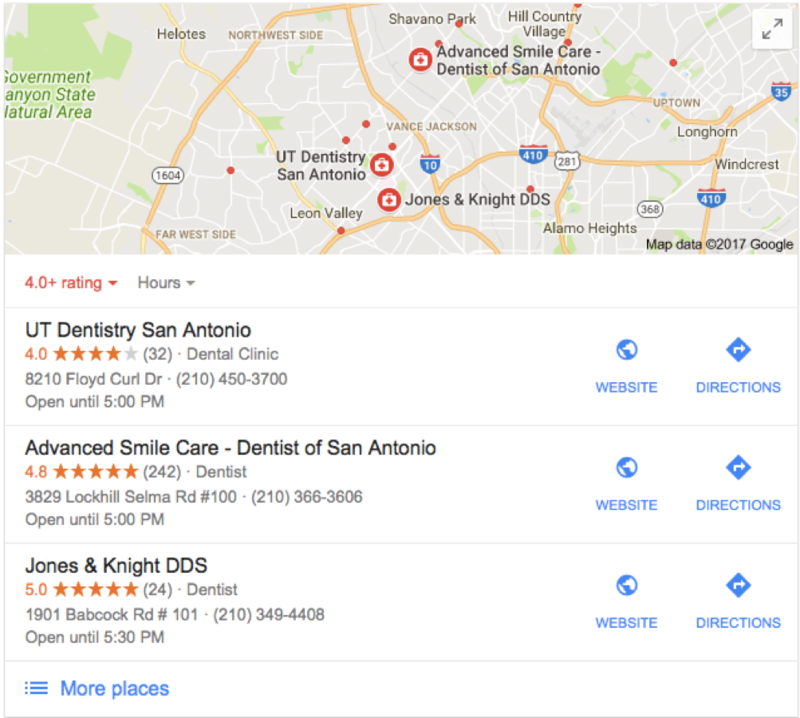 To effectively manage your digital presence, you must ensure that patients are leaving reviews on platforms that appear in top-of-page search results. The two largest platforms are Google Local and Facebook, followed closely by Yelp. Depending on your location, there will be other sites considered trustworthy by patients looking for a new provider. Sites to consider include Healthgrades, Vitals, Zocdocs, YellowPages, and any others specific to your area. When building an online reputation, it is better to have several reviews on one of the heavy-hitting sites than just a comment or two on several different sites. Focus 80% of your attention on garnering reviews on the Big 2 (Google and Facebook) and only 20% on smaller, more specific sites. Getting patients to review your practice is not as daunting as it may seem. In fact, 68% of consumers have provided a review when asked to do so. The trick is making it as easy as possible for patients to review your practice while simultaneously addressing any issues that may lead to a negative review. Use good judgment: Before requesting a review, ensure that the patient is a good candidate for leaving a review. Patients that have received a troubling diagnosis or other bad news should not be approached. Follow up after appointment: An easy way to request reviews is simply to follow up with patients shortly after they’ve come for an appointment. Send a thank-you email or text message and ask for feedback. Encourage patients with negative feedback to contact your office directly so you may address their concerns. Encourage patients who had a positive experience to leave a review on the platform of your choice. Include links to relevant sites to make it easier for patients to comply.Your patient management system may be able to send messages to those patients you deem appropriate automatically.If not, they can be entered into a spreadsheet on a daily basis; at the end of each week have your receptionist send a mass email to the included patients. Make sure to blind-copy the email to protect patient privacy. Email is one of the best ways to stay in contact with your patients, and you do not need a fancy autoresponder to take advantage of it. Reach out to local online influencers: Local influencers include vloggers, bloggers, and social media personalities based in your geographic area. If appropriate for your specialty, consider inviting these influencers in for a treatment. For example, an ultrasound clinic could offer a 3D scan; a dentist could offer a complimentary tooth whitening. Very often, these creators will in turn post about your service or practice. It is important to note that you are not buying a good review by offering a complimentary service. Instead, you are providing an opportunity to experience your service with the hope that the influencer will provide an honest review to their audience. Ensuring that their honest review is a positive one is up to you and your staff. You may be able to find influencers by simply searching online “Influencers (your city name).” This article from Moz.com offers several other tips for connecting with local influencers. There are often in-person networking events that will allow you to meet with these influencers face to face. If no such events are offered in your area, consider using an influencer marketplace or platform. These services allow you to search for a particular kind of influencer by location or specialty. It is important to remember you are looking for influencers who are followed by an audience that is likely to be interested in what your practice provides. Using our above example, an ultrasound clinic may find a perfect fit with a mommy blogger; a cosmetic dentist may be looking for an Instagram start with an audience of Millennials. Offline method for online reviews: Never underestimate the power of paper. Instead of, or in addition to emailing patients, you can also hand out cards as they leave your office. The cards should be similar to traditional comment cards, but instead of requesting that your patients fill in the blanks on the card, thank them for their visit and encourage them to provide feedback on their experience. Again, you want to encourage them to call you directly with any areas of concern and go to your specified platform to leave positive feedback. You can download our template here. Create a brag board: If a patient is particularly pleased with your service, they may take the time to pen an old-fashioned thank you note. While these cannot be posted on Facebook or Yelp, they are invaluable promotional pieces if displayed in your office. We all understand how rare handwritten notes have become – seeing a collection of them in a waiting area immediately puts new patients at ease and increases their confidence in your practice. Ouch. You don’t want one of these… but it happens to us all! The goal of getting reviews is, of course, to get wonderful reviews from happy patients who can’t wait to spread the word. Assuming you provide a great experience and exceptional care those are the kinds of reviews you will receive. Occasionally, despite your best efforts, someone will be unhappy. Instead of contacting you privately to air their grievances, they may post a negative review for everyone to see. Reach out: Contact the disgruntled patient and try to make it right. If appropriate, you may offer a refund or an additional appointment. If that isn’t possible, allow the patient to vent their frustrations and listen compassionately. Often, just knowing that someone cares about their concerns is enough to paint the experience in a more positive light (and sometimes lead to a follow-up review). Respond online: In addition to reaching out privately, it’s critical to respond to negative reviews right on the platform. In fact, 30% of people surveyed said the response to online reviews is a key factor when judging a local business. Accept it: You have to take the bad with the good. Though a scathing review is never great, people tend to trust reviews more if they aren’t all five-stars. 68% of consumers find reviews more trustworthy when they see both positive and negative comments, and 30% suspect censorship when they don’t see anything negative at all. Learn from it: As Bill Gates said, “Your most unhappy customers are your greatest source of learning.” Use the bad review as a jumping off place to improve your practice. Consider that the reviewer may be right. Perhaps your receptionist is rude, the waiting area dingy, the schedule hopelessly behind. Flag it: Of course, sometimes a bad review is nothing more than an Internet troll with time on his hands. If you find a negative review that clearly has nothing to do with your practice, flag it and alert the platform. Never write fake reviews. Never pay anyone to write fake reviews. It’s risky, it’s unethical, and it’s simply unnecessary. Along those lines, do not incentivize reviews as this goes against the policies of most review sites. Resist the urge to offer discounts or other bonuses in return for a review. 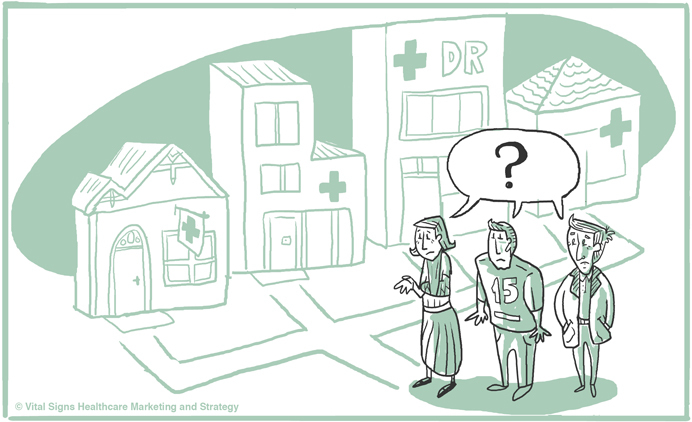 If you follow up with patients, listen to their concerns, and simply ask them to rate your service, they will. There is no need to bribe anyone into leaving feedback. 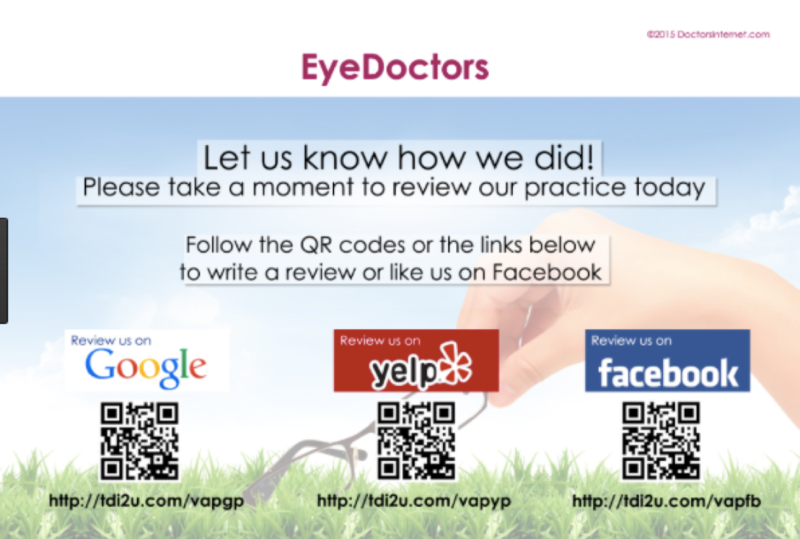 There are myriad ways to garner good reviews for your practice. Whether you choose email requests, influencer invites, or good old-fashioned postcards, the important thing to remember is that patients will only leave exceptional reviews when they receive exceptional service. So be considerate, be ethical, be exceptional and then ask your patients what they think. They’ll tell you. And then they’ll tell everyone else.